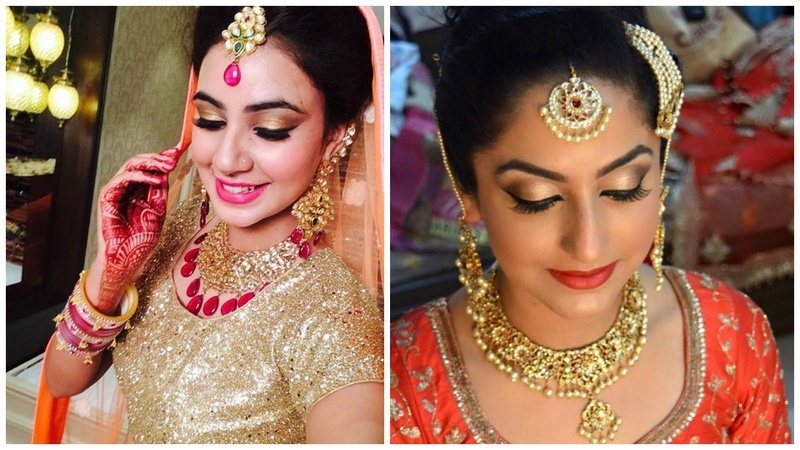 5 Makeup Artists in Chandigarh Who Can Make You Look Absolutely Stunning on The Big Day! If you are planning your wedding in Chandigarh, you must check out these makeup artists in Chandigarh for the D-day. After all, these are the people who can lend you that stunning look and ensure that you appear like a total diva on your special day. Let’s admit it. Bridal Make Up is an indispensible part of the bridal package and you must only have the very best on your special day. Today, we have the best artists for you who are known for their bridal makeup in Chandigarh. With the latest makeup trends and the best makeup products in their kitty, they are sure to impress you with their flawless work. Take a look at our top bridal makeup artists for Chandigarh! Noor Makeover is led by Noor Bhatia and she is known for her stylish trends in bridal hair and makeup. This professional makeup artist has years of experience in the industry and is sure to craft a look for you which will complement your bridal attire. With their help and expertise, you will dazzle like a diva on your big day! Bedazzle Makeover by Sonali Kalyer is a great choice for your wedding day. They are much sought after for bridal makeup in Chandigarh and can do justice to your bridal look. They also offer HD makeup packages which are ideal for every wedding ceremony. With their assistance, you can be assured of a flawless bridal look. With Airbrush, HD and other bridal makeup packages up their sleeves, Zareen Bala and her team is a favourite among brides in Chandigarh. They have a diverse range of packages that you can choose from and with multiple options you are sure to find something that will complement your bridal attire. Femina Plus is a group of talented makeup artists in Chandigarh led by Ankit Malhotra. The experienced team offers multiple packages like HD, Airbrush and others, making it a great choice for weddings and receptions. They also travel to other cities and are perfect for outstation or destination weddings. Devika Tyagi, who heads Makeuport, is a leading artist for bridal makeup in Chandigarh. They offer both bridal and party makeup packages, making them ideal for all ceremonies – from pre-wedding to the wedding. They also offer HD and Airbrush packages for the modern bride who likes the latest trends!